Emojis are technically the best and the most convenient way to interact or communicate with our recipients. They can aid you say everything there’s to say without having to type them individually. When the new Apple smartphones where unveiled, many android users probably saw how eye-catching, classic and real the emojis integrated into it was unlike those “crap” the android jellybeans and KitKat brought. 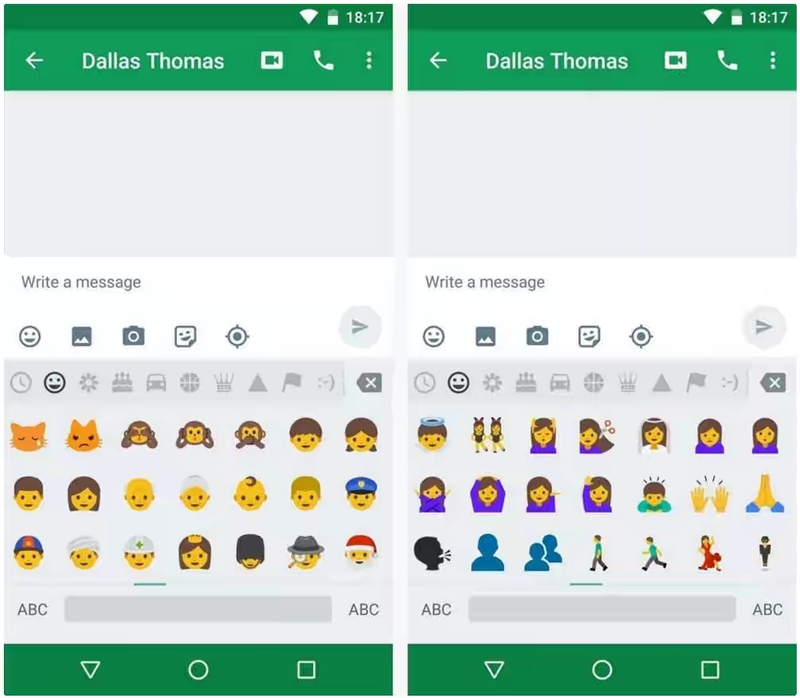 However Google responded quickly to this impending issue and decided to add a “Human head or style” classic emojis Unicode 9.0 on the new android 7.0 Nougat. Also Read: How To Get Android 7.0 Nougats New Navigation Keys On Your Device Right Now. Now while the new emoji updates may soon start to roll out on probably other versions of android smartphone users, waiting can be dangerous too. Thus having known how eagerly people tends to be anticipating for this feature, the geeks over there at Gadget Hacks decided to create a flashable ZIP that will bring Nougat’s new emojis to almost any device. As they’ve stated, these emojis were pulled directly from the latest Nougat preview build, and they replace your existing emojis on a system level, so they’re as up-to-date as it gets, and they’ll work with any app. Now once you have downloaded the zip file to your device, reboot into recovery mode and on the main screen of your custom recovery menu, tap on the “Install” button and navigate to the “Download” folder. Then locate and select the Emoji.zip file from the directory you placed it earlier on. Next tap on “Install Image” and Swipe to begin the installation process. Once the installation process is completed, tap on “Reboot System” to restart your android device. 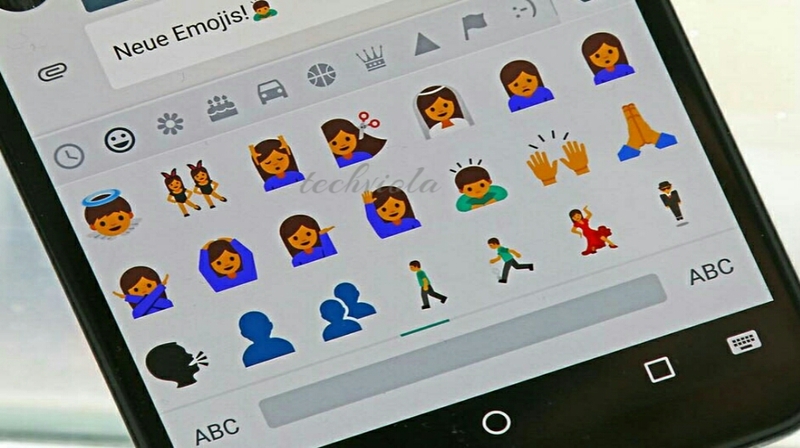 Once your android device has rebooted, the newly applied Emojis will probably be smiling at you. You can now simply open your Google keyboard and switch to the emoji section to see it working. Also the newly applied Emojis will also appear, along with several new and unique characters. Bonus Tip: If perhaps you already have the new Google Keyboard installed prior to flashing this emoji pack, you will need to clear the cache and data of the Keyboard before the new emojis will be visible or accessible. 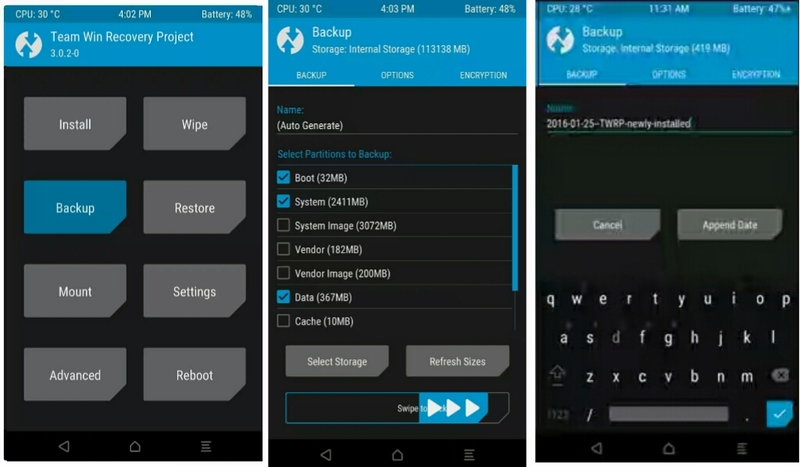 This method works on all android device once you’re rooted and running android version 5.0… But make sure you’ve created a NANDroid Backup.as stated earlier on.